This document is a guiding framework for the incorporation of GESI into SABI. Click below to read the full document. The GESI strategy is not a stand-alone piece of work with ‘independent’ or isolated activities, but on the contrary, is intended for embedding within the wider programme frameworks and operations. It is linked to other cross-cutting strategies and frameworks for SABI, such as the Monitoring, Evaluation and Learning (MEL) framework; the Grants Strategy and the Community Engagement Strategy, as well as the design of the overall programme and day-to-day functions of both the programme and individual partner/grantee approaches. As such, ownership of this document needs to be broad. The key audiences (or, indeed, ‘owners’) for this strategy are the Programme Management Team (PMT) which includes all SABI consortium members (Restless Development, SDDirect, BBC Media Action, Mango and Christian Aid), operational staff, SABI Implementing partners (IPs) and DFID. It is the collective responsibility of these stakeholders to put the strategy into practice, with support from the SDDirect GESI team. The strategy implementation will begin in January 2017, and used as a guiding document during discussions with both consortium, IPs and grantees. SABI’s GESI objectives prioritise three strategic objectives, each intended to support the programme’s goal of improving access to entitlements and public goods and services for all – including women and other excluded groups; and to build long term meaningful and sustainable change for accountability. ● SABI is an accountability programme that also models the change it wants to see with regards to GESI as well as issues related to transparency and accountability to excluded groups. ● All SABI grantees and projects are GESI-sensitive (inclusive approaches, gender/social inclusion-sensitive analysis and M&E, results). ● SABI learning enables a better understanding of the ways in which pathways of accountability differ for men, women and excluded groups among them. This strategy was developed by SDDirect in close collaboration with the SABI team – including consortium and implementing partners. To support this strategy, SDDirect carried out a contextual analysis of gender equality and social inclusion issues in Sierra Leone that brings together a rapid. SDDirect is a UK-based provider of innovative and expert social development assistance and research services, including on gender and social inclusion.  SABI is funded by UK aid from the UK Government, however the views expressed do not necessarily reflect the UK Government’s official policies.